Seeing as how COLA Tower and its interlocking, located in Columbia, PA, was the focal point of a wide area CTC project running from the previously covered SHOCKS and JEB interlockings down to the yet to be covered CRESS interlocking a lot about the history of COLA and its creation has already been touched upon in the Port Road series. The tower was built in 1938 and was a virtual clone of the 1937 (and still going strong) THORN interlocking tower. 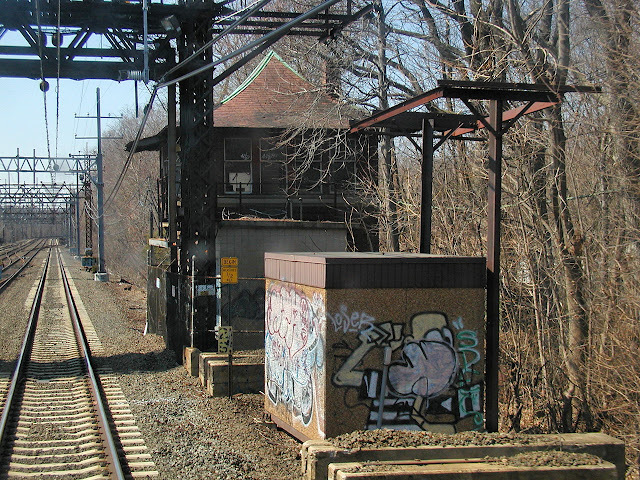 Both were built as part of the late 30's electrification that would stretch from Paoli to Harrisburg on the Main Line and also cover all the related freight routes in the area including the Port Road. Both towers' design also reflected an evolving trend in PRR interlocking tower design away from the trademark bay window types to the new "corridor" type tower that would appear in the 1940's. Still, the PRR spared little expense with brick construction, a slate roof and all the luxury amenities such as indoor plumbing and central heat. Like THORN, COLA was an all relay interlocking plant wit a US&S CTC console interface (although as I explained before there was very little Rule 261 "CTC" involved in the project). One advantage of the PRR's foresight was that in the 1980's when the tower was ultimately closed the windows could simply be bricked up and a remote unit installed to replace the human operator flipping toggles on the unit lever machine. This means that COLA essentially was un-resignaled from 1938 through ~2011. Anyone who says that modern solid state ICs and printed circuit boards are more reliable let's see how many modern electronic devices are still functioning after 70 years in service and if replacement parts are still available. 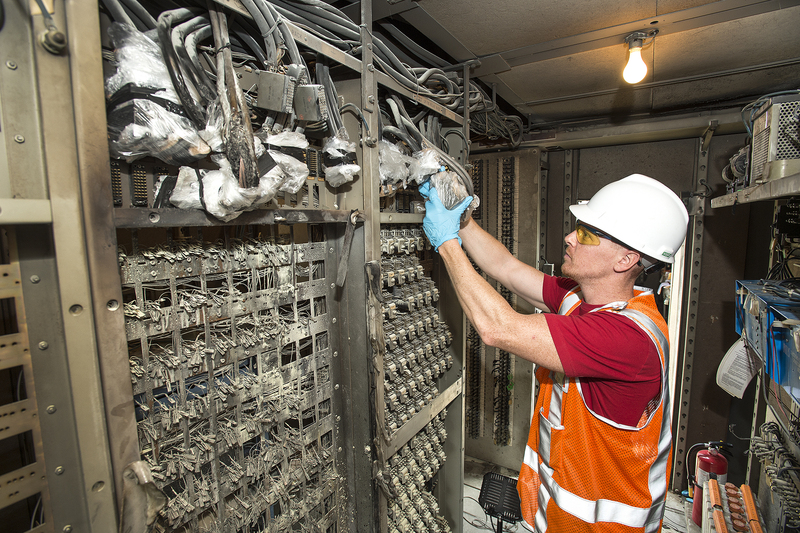 From 1938 until its re-signaling in 2011 COLA used pneumatic switch machines with the compressor plant being located in the basement of the tower. 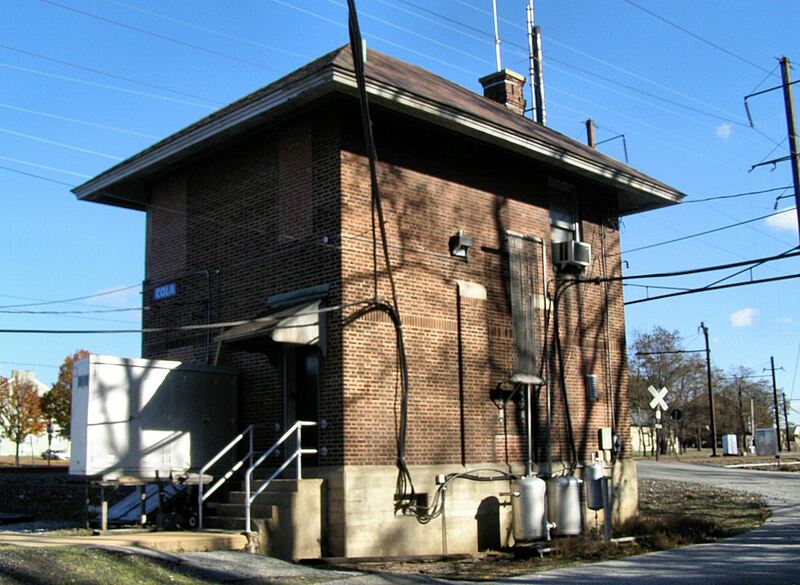 The air reservoirs and dryer was located to the rear of the tower's exterior. Note the cables running into the tower from the CTC code line that ran from SHOCKS to CRESS. 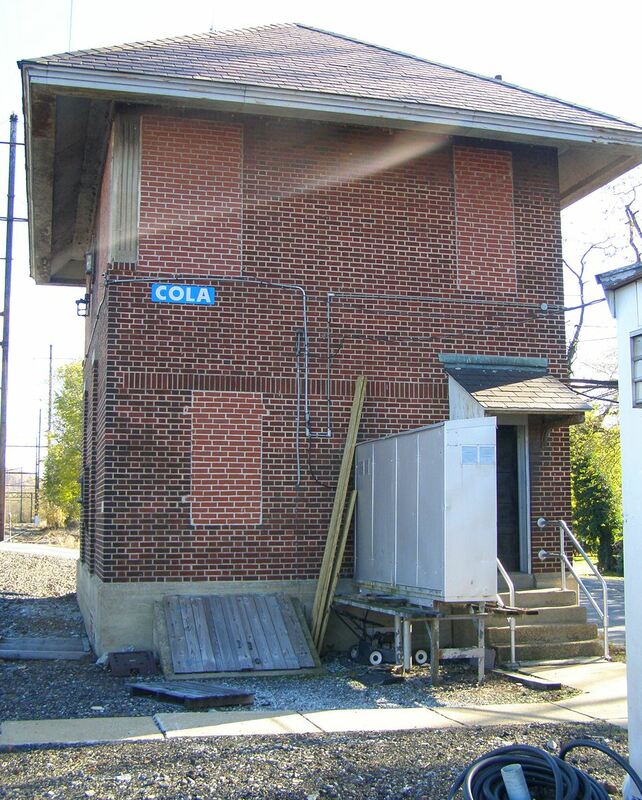 It's status as a functioning relay room also meant that COLA tower had the privilege of wearing the Conrail blue reflective nameplates in addition to the high security brick job over almost every single exterior opening. I would not be surprised if the CTC console was active for local control right up until the end. Also note the tower's door and slate shingled canopy. Classy. Thanks to the internet I managed to track down an a photo of the COLA operator sitting at the CTC console around 1980. If you visited the THORN page you can see that everything is essentially the same, only this console is a little larger. Note the HBD-DED readouts in the background. For those of you who like their facts and figures COLA had a 150 unit lever CTC console broken out into the following categories. COLA was split between the Maryland and Philadelphia divisions which always made for a good time for the operator having to report to two dispatchers and handle multiple sets of paperwork. 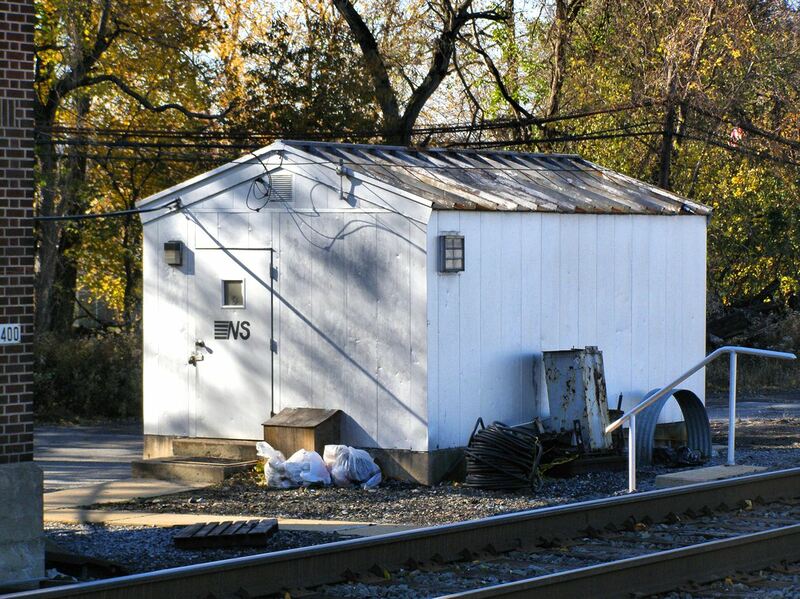 I am not 100% sure what the exact function of this supplementary relay room was, but it matches a similar one at LAKE as well as a number of structures on the Buffalo Line. My guess is that it is the location of the CTC code line equipment that was possibly turned into a maintainers workshop. I haven't had a news post in a while and when I went to check that I had saved up I noticed that almost all of it was CSX related because after all CSX really hates classic signaling. So let's get started. First bit comes from CP-33 on the River Line. 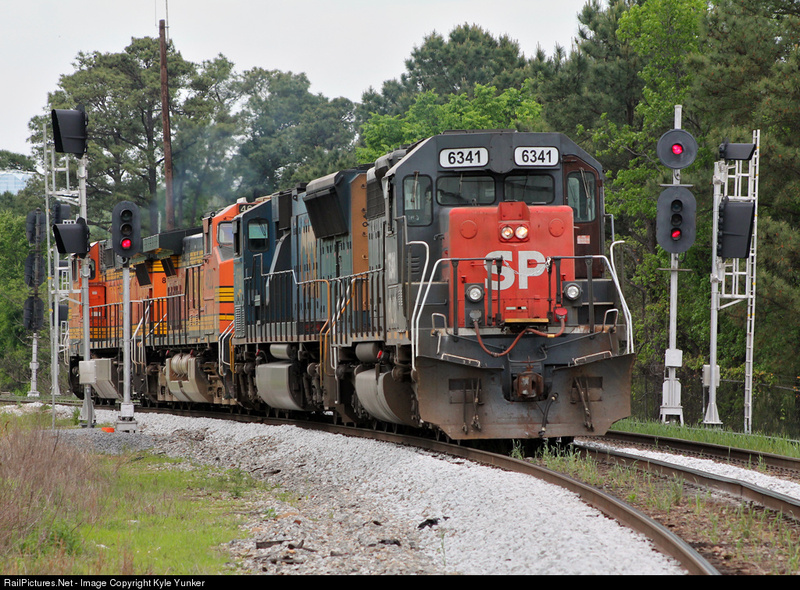 CSX had been upgrading the restricted speed sidings on the line to signaled sidings. 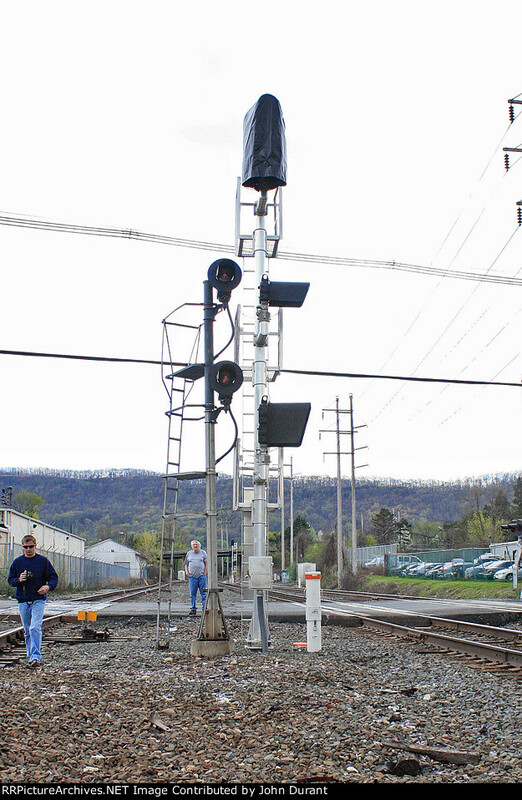 Despite their quest to save money the replacement for the Conrail small target searchlight two-head mast will be a three head Darth Vader that could have been played by a 4-malp single head signal. More Seaboard signals falling on the W&A near Atlanta. CSX does know the hoods are to keep SNOW from piling up right?? 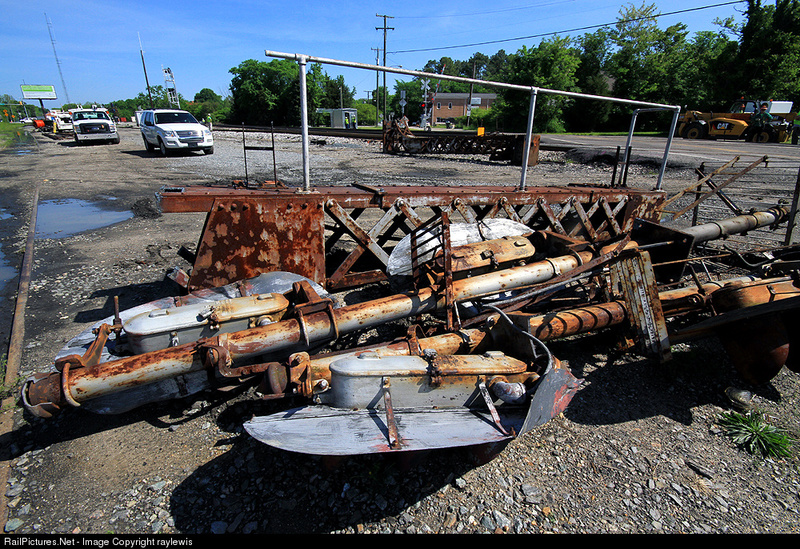 CSX finally wrapped up its re-signaling project on the Peninsular Sub near Williamsburg, VA. I was there last summer documenting the old C&O units before they were cut down. 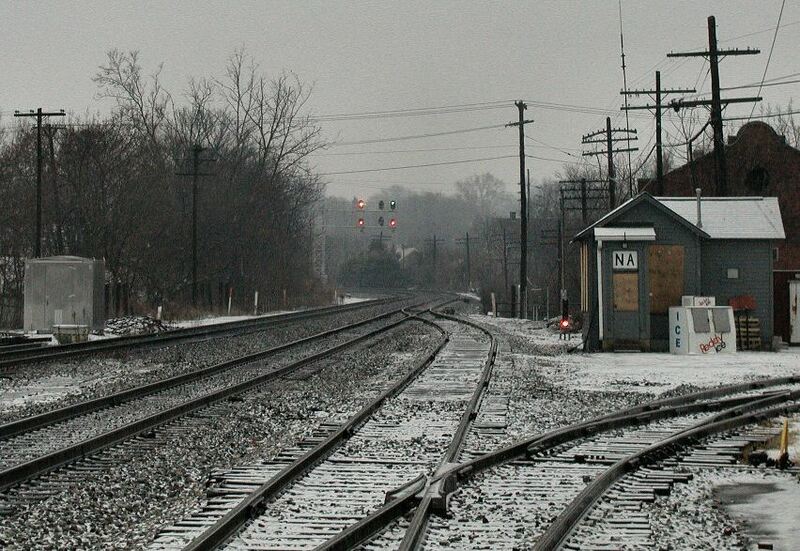 LEE HALL interlocking was going to be upgraded to a complete crossover to eliminate the partial crossover at WEST LEE HALL. 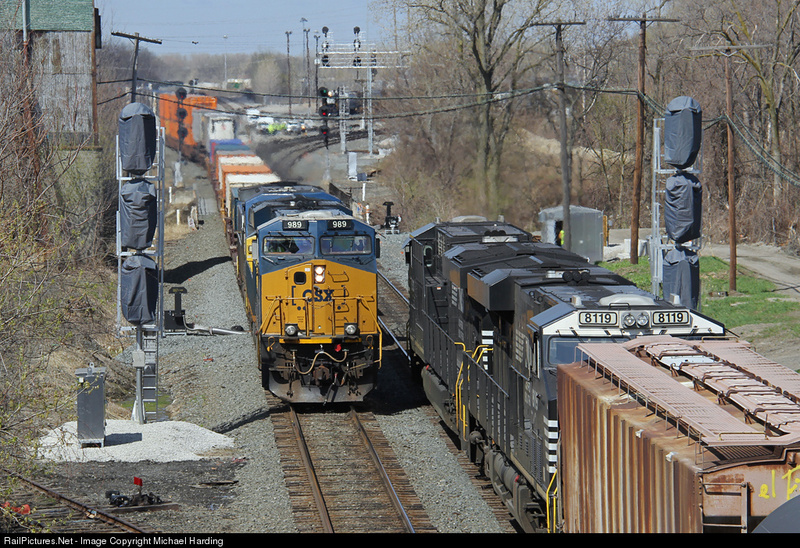 The Philly sub re-signaling has reached the outskirts of Wilmington with new Darths up at Landenburg Jct...an interlocking I have previously covered on this blog. Remember, this interlocking was itself re-signaled only 10 years ago. Alright, I do have one non-CSX related story. 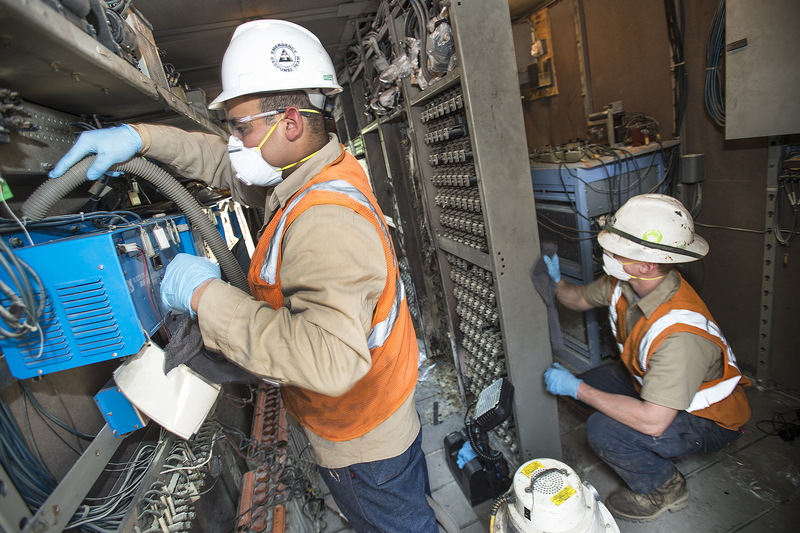 NS is re-configuring one of the better examples of former NY Central signaling at CP-289 on the Chicago Line in Toledo. It looks like the interlocking layout is being reconfigured for higher speed or parallel movements as the new westbound signals have been moved east a few hundred feet. 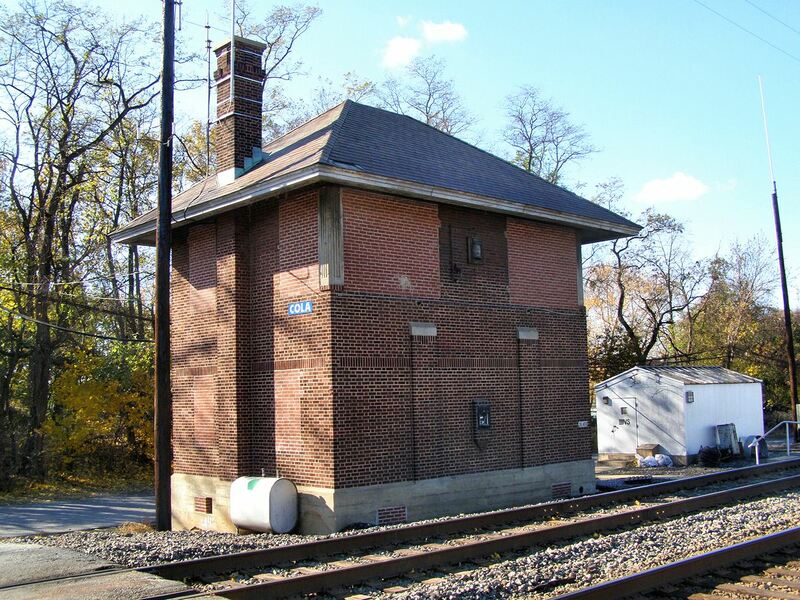 Usually when fire comes up in the context of railroad signaling it;s usually some old wooden interlocking tower or relay plant making use of lots of cotton wrapped wires, but more often than one would think modern metal relay huts catch fire and cause all sorts of headaches for the railroad that owns it. Well a few days ago a fire broke out in one of the instrument houses serving a complete 4-track crossover on the Metro-North New Haven Line (it's really not their year is it). The interlocking in question is technically known as CP-219, but the proper designation is SS28 GREEN and for those of your who don't know your New Haven Line interlocking here is a photo of what control the interlocking up into the 1980's. Fortunately the tower was spared as all the relay logic was moved across the RoW to a series of huts connected by cableways. 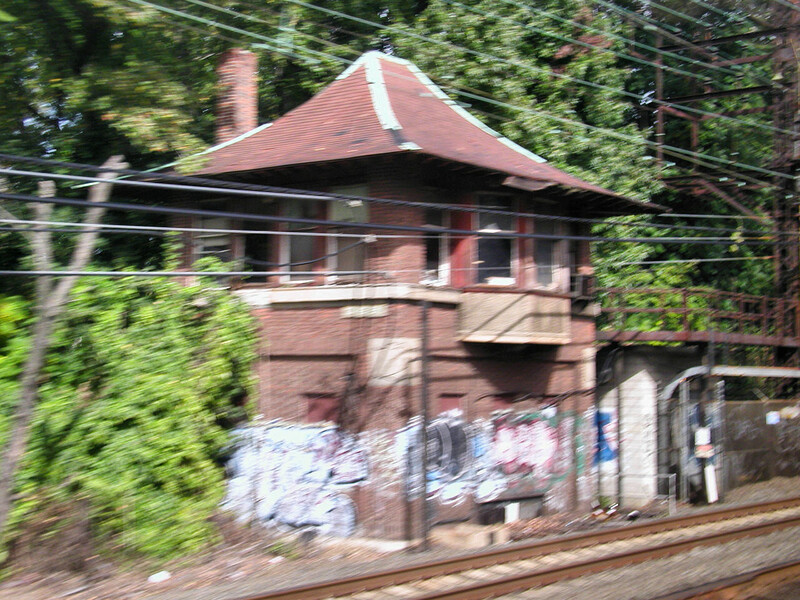 Now in some of its interlockings MNRR has installed Halon fire suppression, but Connecticut has not opted to pay for such features, however the extreme cheapness did have some benefits as the use of multiple, small relay huts kept the fire contained to a section of non-vital relays used for CTC code line communications. Now the only reason I am talking about this is because Metro-North was nice enough to post up a whole set of photos on Flickr in the interest of transparency. As you can see these aren't the familiar glass cased vital relays that would be both costly and time consuming to replace. Instead these are non-vital elevator/telephone type relays used in the CTC control elements. Without any damage to the real interlocking local control can be used if necessary and from the service advisory delays of only 5-10 minutes were encountered at the time of the incident. Not sure if MNRR is going to try to restore the same functionality or just use some infinitely more simple form of modern technology. The latter would seem obvious, but since it would probably require a brand new custom interface between the non-vital and vital elements I suspect they'll just bring it back exactly as it was. Note the worker with the old wet dry vac already putting a "restore" plan back into place. MNRR didn't stop at photos, they also produced a video outlining their little whoopsie. Anyway, fires happen all the time, but few are so well documented in a way that can shine a light on the inner workings of modern(ish) interlockings. Which reminds me...if you travel the New Haven line late at night instead of looking to the south side of the tracks where the fire was, look to the north because inside the tower a single bulb still burns illuminating the original interlocking machine which fortunately did not burst into flame during its 60 years of operation. In the Year 2000 there were still two great railroad main lines controlled in the traditional method with regularly spaced interlocking towers manned by block operators. The first was the Amtrak Harrisburg Line between Philly and Harrisburg, PA. The second was the B&O Main Line between Brunswick, MD and McKeesport, PA. While not as well known as the Amtrak line and also featuring a few sections of dispatcher controlled CTC, the B&O main line features a total of 8 towers which from east to west were WB (US&S Model 14, pneumatic plant with relay machines for remote interlockings), NA Cabin in Martinsburg, WV (GRS panel relay machines), W tower at West Cumbo (GRS Model 2 pistol grip), R Tower at Miller, WV (mechanical), HO tower at Hancock, WV (mechanical), Hyndman tower (mechanical, simple crossover), SA Tower at Sand Patch, PA (GRS Model 2 pistol Grip) and VI Tower at Connelsville (Relay CTC machine in yard office). The last of these, WB, closed in late 2012, but in 2003 CSX was only just finishing up its first assault on the B&O towers having just closed all but three of them . In the west SA and Hyndman got the ax. In the east it was NA, W and R (Miller). 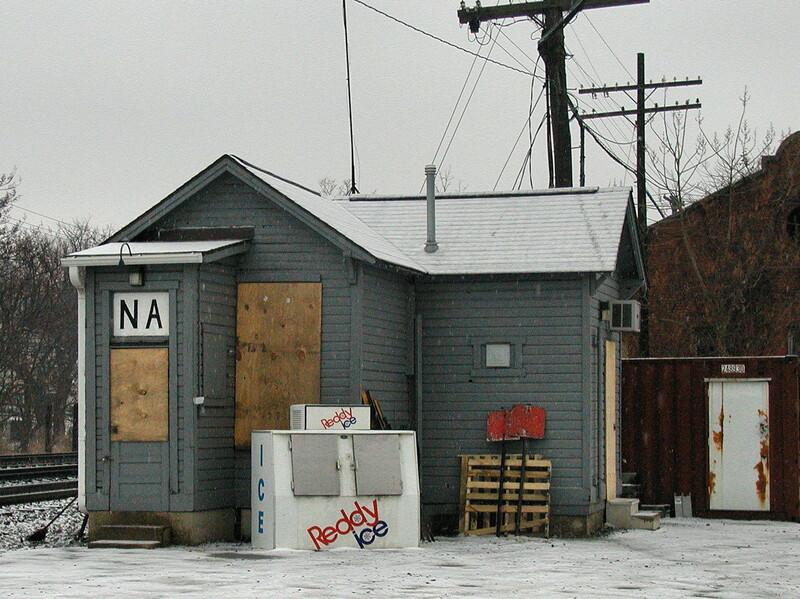 Unfortunately I managed to visit NA in January, 2004, only after it had closed. However a friend had managed to get out there shortly before the new signaling was cut over and managed to get some inside shots. NA was a tower in name only, with many people and official documents referring to it as a cabin due to its small single story construction. 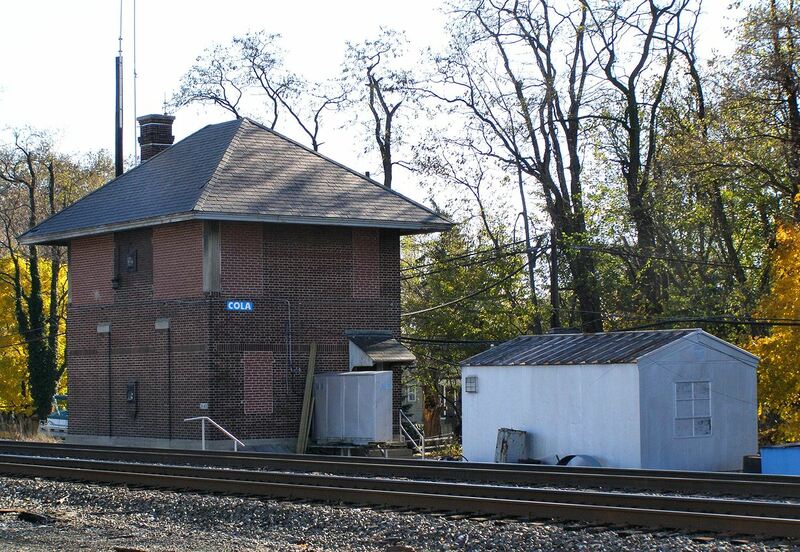 What was ultimately important was its status as a block and interlocking station filling the gap between HARPERS FERRY interlocking, remote WB, and W tower at West Cumbo. The operator was on hand to not only throw switches and set signals, but also hand out train orders when wrong-railing was necessary on the D-251 ABS trackage. Plywood, fresh in 2004, would still be in place in 2014. It is probably easiest to explain NA by starting off inside as I don't have any other documentation to show first. NA is best described as cozy with an operator's room containing a desk and other communications equipment. NA's local interlocking, controlled by the panel above the desk, was not very complicated and I suspect that at one point it was probably operated by a table type interlocking machine which allowed for a small single story structure. 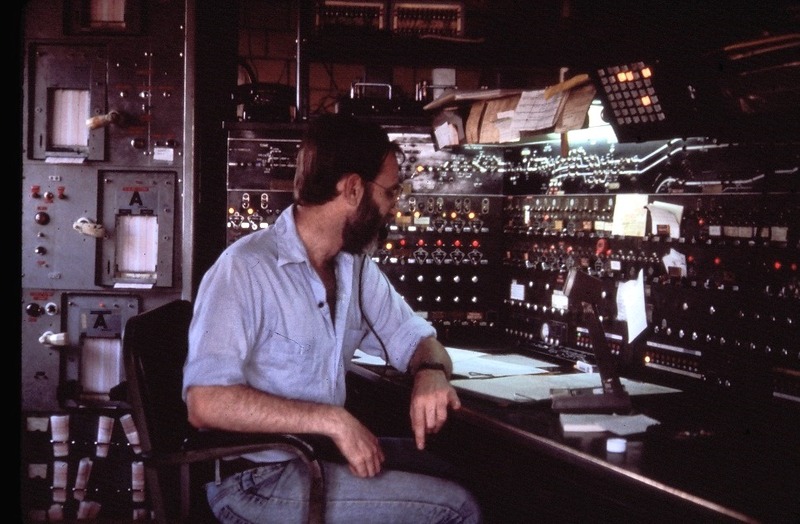 Behind the operator was a unit lever CTC-type console controlling the remote pair of crossovers at Shenandoah Junction. All main track was single direction ABS. By 2003 NA interlocking proper consisted of one facing point crossover, #18, one turnout to a station track, #16, paired signals on both main tracks protecting the switches, 17L/R and 19L/R, and a pair controlled approach signals, 15R and 21L, for the direction of travel on both main tracks. 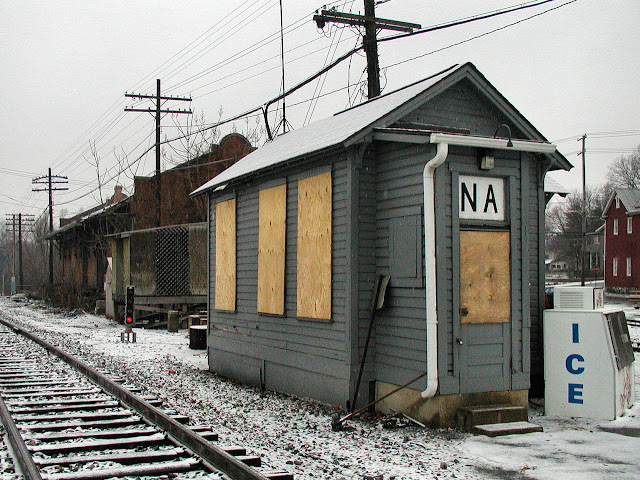 NA was used as a terminus of the DC area commuter rail services and therefore a station track and holdout were provided to facilitate these movements. You can see on the model board that the plant has at some point been altered. 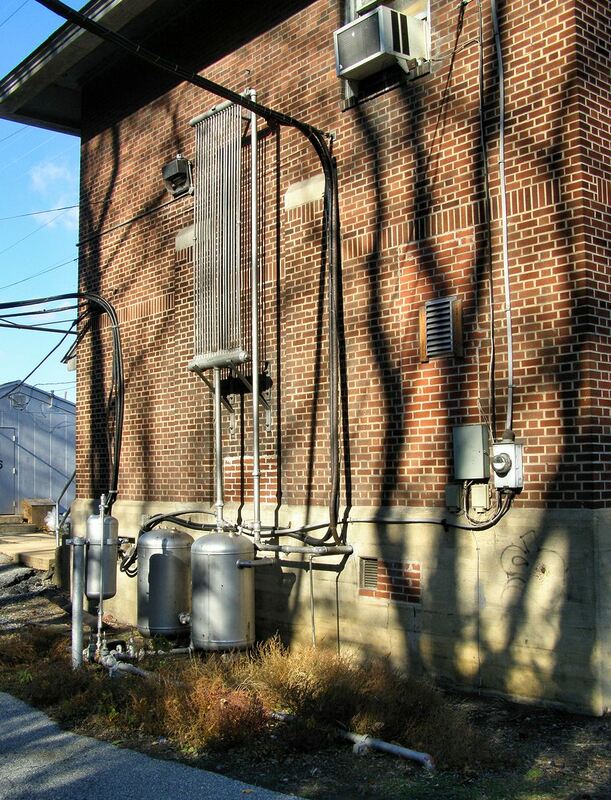 The remote plant at Shenandoah Junction was controlled by a more traditional black GRS unit lever machine. The layout is similar with two crossovers and a side track that lead to the N&W connection. 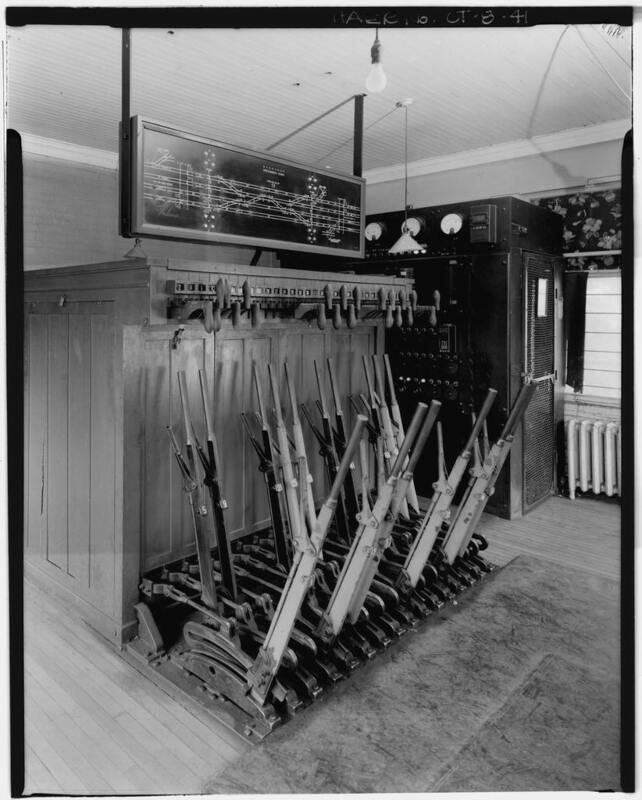 Signal levers were 7R/L and 9R/L, crossovers were #10 and #14 and the connecting track #8. Also panel blocking was fitted to this panel to prevent accidental wrong railing. Back at NA interlocking we can see one of the original CPL signals mounted on a bracket mast while a Darth cantilever hovers ovehead. In this view of the still open NA tower we see the CPL dwarf has already been replaced by a the dwarf still in use to this day as well as the crossover that was since removed with BYRD interlocking constructed as a replacement about 2 miles to the east. Similar shot a few months later showing the other room in the tower used for relays or maintainers.